Legal start up You Legal won the Best Start Up Award at the SA 2015 Telstra Business Women’s Awards last night. In its first financial year, You Legal saw a growth of 400 per cent, going from one foundation clients to over 100. The company now has 14 lawyers, working as online legal counsel or in-house on retainer. 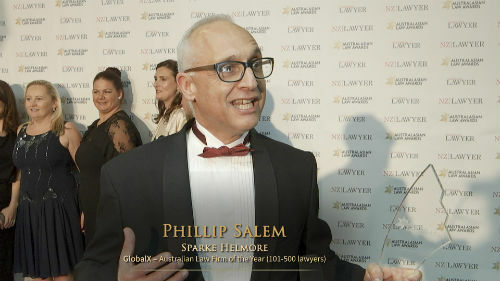 “What the firm is doing differently to most start-ups is that it is leveraging the highest qualification and skill level underutilized talent from within the Australian professional labour force,” founder Sarah Bartholomeusz told Australasian Lawyer, adding that the strategy allows the firm to keep operating costs low. Bartholomeusz started the company after she was made redundant at 32 weeks pregnant. She said she was determined to build an innovative and modern firm. “As a mum of two the traditional law firm model does not work for me, and many other women, and I’m determined to change the status quo for women who love the profession but hate the inflexibility of the ‘old world’ model,” she said. Bartholomeusz said she expects the company to grow even faster in the upcoming year with its broadened capability.